Hey there! 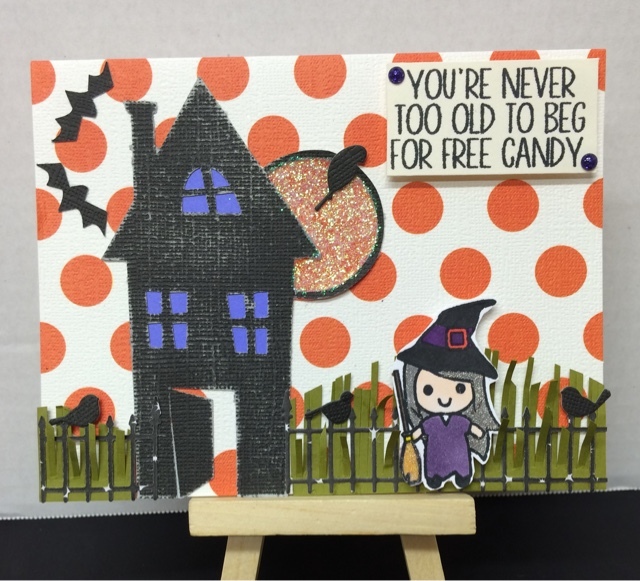 Deb 1 here with a fun little card featuring a gray haired witch and a sentiment that fits her perfectly! I distressed the house by sanding the cardstock to give it a more aged look and left the grass semi-high so that the yard looks over grown. The stamp set used is called Witch, Please from Virginia Turtle Stamps!! If you have never been to their store, check them out....they have lots of goodies. You will find a link to their page on the right side of our page! Enjoy your Friday night!! Happy Friday!!! 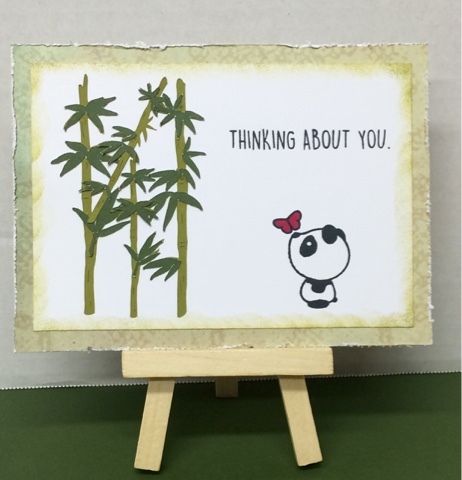 I just LOVE the Everyday Panda set from Virginia Turtle! I love the simplicity of this card. The butterfly was colored red, because to me it looked like two hearts. I cut the bamboo from the Life's a Beach cartridge from Cricut. The edges were distressed just to give it a different look. Thanks for looking! !